Packing containing hex nut, flat washer, split washer. Metric finish nuts are a type of fasteners with a threaded hole coarse or fine thread that are used for fastening to a hex cap bolt or socket screw or when mechanically joining materials together. 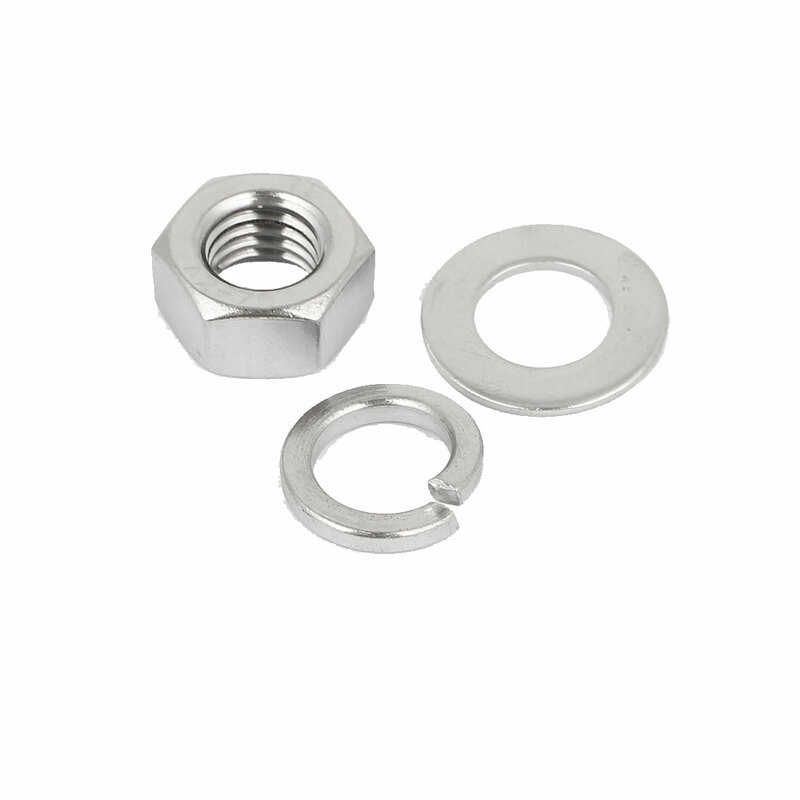 Flat washer provides a bearing surface for fastener load distribution or acts as a spacer.